Science Fiction usually takes an idea and turns it into a reality decades before science and technology have had a chance to make it so. SciFi vision is a perfect example of this. Science fiction writers had ideas about how to solve unique visual issues and enhance normal human vision decades ago, and now the tech is finally starting to catch up. SciFi vision is becoming more of a reality than anyone could have ever imagined. Star Trek The Next Generation was probably one of the most cutting edge shows in modern history. That show dealt with problems that are just now starting to get attention long before anyone was ever talking about them. The show’s writers were also tackling complex science and tech problems that are just now starting to be solved in real life. Geordi LaForge is a Star Trek TNG character who was blind from birth but was able to see with the assistance of his Visual Instrument and Sensory Organ Replacement, or VISOR. Today in real life scientists are starting to come up with the technology to help the visually impaired see, and “Bionic Vision” is the first FDA-approved visual prosthesis available to be implanted into humans. The visual acuity is still crude, but being able to see low resolution black and white images is probably better than not being able to see at all. Science fiction gives us something to strive for as a society, even if it is just the ability for everyone in our society to see. SciFi writers have been dreaming up technology that will revolutionize the world for decades, and we are just now starting to see that amazing tech roll out in real life. What’s next for SciFi vision? 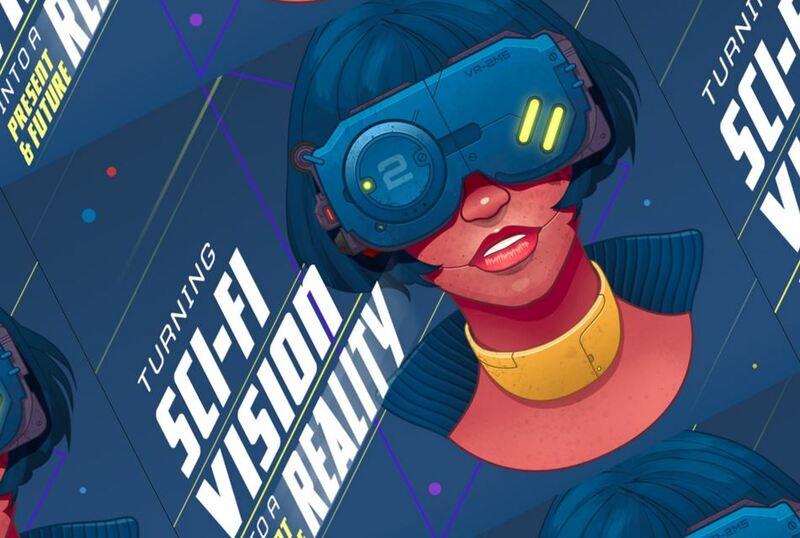 Learn more about the future of SciFi vision from this infographic!